London — A new documentary on Princess Diana is using controversial videotapes in which she candidly discussed her marital problems and her strained relationship with the royal family. This year marks the 20th anniversary of Diana's death in a Paris car crash on 31 August 1997, which was followed by an outpouring of grief in Britain and beyond. Diana: In Her Own Words opens the Princess of Wales' private life to the public through recordings of Diana talking to her voice coach, Peter Settelen, whom she took lessons from 1992-1993. These sound clips included her description of how Queen Elizabeth II reacted when she asked the monarch for advice about her failing marriage with Prince Charles. The tapes aslo include her discussing Charles' relationship with Camilla Parker Bowles, whom Charles later married in 2005. 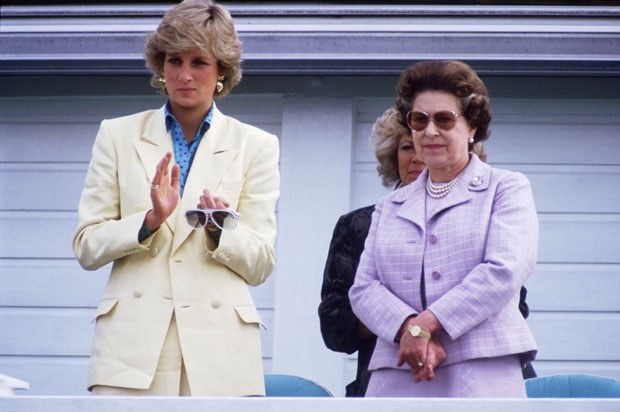 In one of the recordings Diana discusses Queen Elizabeth's reaction to her plead for help to save her marriage to Prince Charles. Diana is heard saying: "So I went to the top lady, sobbing. And I said 'What do I do? I'm coming to you, what do I do?' And she said 'I don't know what you should do. And that was it. And that was help." The tapes reveal that Prince Charles wasn't the only Prince of Wales who had a mistress. When confronted by Diana of his relationship with the Duchess of Cornwall, Charles responded: "Well, I refuse to be the only Prince of Wales who never had a mistress." Lady Di also confesses to falling "deeply in love" with a married man widely believed to be her protection officer, Barry Mannakee, so much so that she was prepared to flee the royal house to be with him. In the recordings Diana reveals the Duke of Edinburgh, Prince Philip, condoned Prince Charles' relationship with his now wife Camilla Parker Bowles saying: "If your marriage doesn't work out, you can always go back to her after five years." Lady Di adds that, that's exactly what Charles did. "Which is exactly—I mean, for real I knew that it had happened after five years. I knew something was happening before that but the fifth year I had confirmation." Diana and Charles' failed marriage was also a passionless one. Commenting on her sexual relationship with him, Diana said: "Once every three weeks then it fizzled out about seven years ago, six years ago." Diana and Charles married in 1981 and divorced in 1996 after having two sons, Prince William and Prince Harry. The recordings also show Charles' attempts to woo her during a barbeque in 1979 when she was 18. Police held some of the videotapes after they were seized in ex-royal butler Paul Burrell's home in 2001. Diana's family tried to make a legal claim to the recordings, but they were returned to Settelen in 2004. Excerpts of the recordings were aired in the U.S. in 2004 but they have never been screened in Britain. The documentary airs on National Geographic (DStv 181) on 18 August at 20:05.